The revolution began with the simple act of a mother kicking a ball to her daughter. An English soccer trainer noticed, and praised her form. 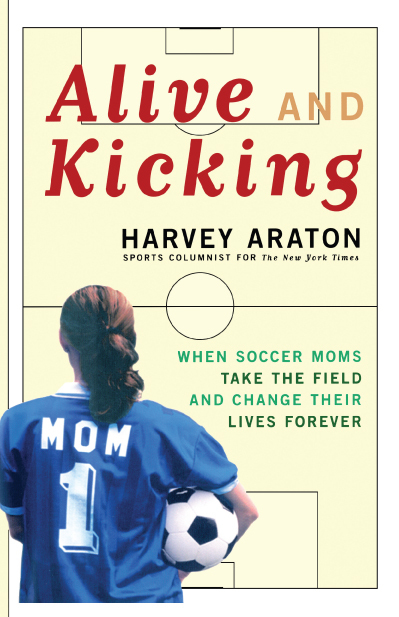 "Too bad," she replied, "there's no soccer league for mothers." Who could know that so many lives would change as a result of that simple exchange? In the suburban enclave of Montclair, New Jersey, as in so many communities around America, there was nothing new in the sight of mothers driving their minivans to soccer practice. What was new was that these women were driving to their own practices instead of dropping off their kids and watching from the sidelines. For the generation that grew up before Title IX's mandate of equal athletic opportunity, the field of play was a male preserve; girls watched and cheered. The lessons that sports are supposed to teach -- team spirit, overcoming adversity, playing to win without rancor or anger -- were restricted to this young boys' network; how could women help win the Battle of Waterloo when they'd been kept off the playing fields of Eton? The women of Montclair were mostly of that pre-Title IX generation, and many of them had never played competitive sports in their lives. In Alive and Kicking, Harvey Araton follows these women through their turbulent first two seasons. He turns his keen sportswriter's eye onto the battles, both on the field and in the psyche, that these women wage as they try to play a sport without compromising their values. He also shows the divisions that wrack the league when a slightly younger generation gets involved in the games, a generation raised without ambivalence about beating an opponent, willing to take a dangerous chance for a winning goal, even if it means running over the woman in their way. But most of all he describes the women who gain in confidence and ambition, like one of the league's pioneers, who finds the strength to leave a tired marriage, buoyed by her accomplishments on the field -- as well as the few who find themselves left behind by the achievers, those for whom this exposure to sport will leave the scars known to all who've been the last to be selected for a pickup game. The rise of women's sports -- symbolized by the ecstatic reaction to the U.S. Women's World Cup soccer team -- has been a significant change in the social landscape. This thoughtful, thought-provoking book examines the questions that should underlie this radical change, but too often have not: As sports change women, can women change sports? Is the male play-to-win model the only one that works? Does it work? Through the experiences of these smart, mature women, we learn much about the workings of games and societies -- and the difficulty of questioning patterns so deeply entrenched that we barely know we can question them at all. Lisa Ciardi was apprehensive that first day. Doubt hovered over her carefully executed plan like an overcast sky. Did she really believe that a handful of women who were preoccupied with work and kids, with leaks and lawns, would have time for what was, to them, a child's game? What would these women, most of whom she barely knew, think of her if they all felt foolish, or inept, trying to dribble a soccer ball? On the other hand, Lisa also wondered if they'd even show up. She hadn't slept well, waking at her usual time, 5:30. The time before her children stirred, just before her husband would leave for his long commute to Connecticut, was when Lisa could work up a plan, prioritize her day. She could stretch the stiffness out of her chronic back, or "just plain veg, without worrying that anyone would interrupt." Not today, though. Not this bright October morning, when she was infused with unfamiliar energy, counting the minutes until the kids were off to school. It had been weeks since her chance encounter in the park with Steve Cook, the camp soccer trainer who had taken a moment to comment on her promising form. She considered it serendipity, a stroke of fate. Cook, from Oxford, came from a country that was not receptive to women in sports, and especially not in the sport that mattered most. In a complete reversal of status from the men's game, women's soccer in England was primitive compared with the level it had achieved in the United States. Much like American baseball, the game was bound by deeply rooted traditions and outdated ideals. 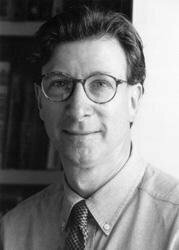 But the twenty-seven-year-old Steve Cook had his own, more enlightened views. The first team he ever coached was a group of English women. While going to school in Phoenix, he had guided an under-fourteen girls' team to the Arizona state title. At another stop during his coaching wanderings around the United States, he had bunked for one summer with a family in Troy, Michigan; the mother, Becky Fiedler, was in her forties and had played soccer with several other women her own age for years. "I got the idea that most adult women played here, too," he said. "I actually was surprised when Lisa said there was no place for her to play." So their first brief exchange became a dialogue that would soon give rise to the beginning of a plan. Lisa would later recall that it was she who had been persistent, who had not dropped the subject; she had taken Steve's compliment, his passing interest, as an open invitation and an offer of help. The way things had gone for the previous twenty years, this might be the only opportunity she would ever get. Sport already was a dominant presence in her life, given the hours she spent shepherding her three children around to a never-ending swirl of events. John, Lisa's oldest, had just started third grade and was already on travel soccer and hockey teams, playing upward of eighty games from September through May and attending practices three or four times a week. Olivia, a first-grader, was playing soccer in the town recreation league and was in a demanding gymnastics program during the week. Madeline was only four, but in soccer-crazed Montclair that was old enough: Saturday mornings she was one of the kinder kickers learning to dribble around the orange cones and giggling parents over on the south end of town. From the moment Lisa fetched the children at school, the mad rush to get them places on time began. "I juggle so much it's unbelievable," she said. "The last couple of years, it's been a case of, 'Let's just get through this day.'" And the weekend was no leisurely affair either. Lisa's husband, Brian, was, weather permitting, a Sunday morning golfer, using the game as a stress-relieving diversion from the grueling hours he was putting in at his securities firm in Greenwich, Connecticut, more than an hour's drive away. When the family considered relocating, the city girl in Lisa was unimpressed by the pricier but more sterile northern suburbs. Brian had grown up about forty-five minutes west of Montclair, where he had spent many afternoons pursuing his true passion, ice hockey, on frozen ponds. He still played in an adult league at the town rink. For Lisa, this was occasionally a source of irritation, as her husband of more than eleven years -- bag slung over his shoulder -- would leave her alone with the kids. He would say, "I'm just out there for a couple of hours with a bunch of sweaty guys, just working out." But that was the point: He was, and she wasn't. All in all, the Ciardis were quite the team sports family, as long as you didn't count Mom. But Lisa wanted to be counted. The more games she watched, the more sidelines she stalked, the more she resented being out of bounds. The occasional tennis game at the Glen Ridge Country Club, the routine aerobics workout at the Y, kept her in good enough shape. At five-five, with a lean, athletic build and naturally dark complexion, she always looked fit. Yet something was missing. Lisa envied her husband, her children, and everyone else's children. Every season, every week, they had opportunities to free themselves from the stress of school, of work, of the requisite anxieties of their respective ages. To Lisa sports represented adventure, even if they took you no farther than the closest park. They were still an escape, a chance to stay spiritually young. She wanted to have that connection to childhood, to make that leap back in time to the streets of Bay Ridge, Brooklyn, when her mother would look out the window and cringe as Lisa, fast on her feet and unafraid, was usually leaping for a football, slamming into a parked car. Neither her mother nor her father, a doctor, endorsed sports. They stressed academics for their five children. In fact, when Lisa's mother was thirty-seven, the same age as her daughter was now, she had gone back to school for a master's in education. Lisa already had a master's degree; she had enough education. But now, with all three of her children about to be in school full-time, she, too, felt she needed something else. "I spoke to my mother about it. She said, 'When I got to your age, I needed something for myself. The kids were beyond the infant stage, and I'd done a lot of things for my family. I started to think, What can I do now that's just for me?'" Lisa was not yet ready to return to her work as a physical therapist, which she had left after her second child came along. Brian was working long hours, and the children were too young, adjusting to school and academics and all those after-school activities. Lisa had shepherded them through the diaper and toddler years. Now the long-dormant jock in her was crying out for some playtime of her own. "I always wanted to be out there, with the boys, playing every sport," she said. "I always knew I was an athletic person. When I played sports, I'd put everything into it. I like to run. I like to sweat, work hard. I always loved the boy things. I always played like a boy. To be honest, I always felt I should have been a boy, except I wanted to have kids." In 1970s Brooklyn few people paid much attention to the distant hum of Title IX. Lisa was growing up in the age of feminism, of Gloria Steinem and cigarette commercials that told her that she'd come a long way, baby. But how far was that, when it came to sports? The neighborhood boys she competed with had places to take their street passions. They could go off to play the team sport they excelled at and enjoyed. They'd get a uniform, a schedule. Fathers lined up, volunteering to coach. Even if an athletic girl had enlightened parents, she usually had to find more acceptable pursuits. When Lisa was thirteen she bounded off a trampoline, landing too hard on her feet. Her spinal column was never quite the same. She would, after several years of pain, undergo back surgery at sixteen, then again at twenty-one. At Notre Dame Academy, a high school for girls across the Verrazano-Narrows Bridge in Staten Island, Lisa won a few medals running track. She tried a little basketball, but none of this moved her. Her back often hurt, and sports were not even on her friends' radar screens. Before Lisa knew it she was at New York University, studying psychology and biology, getting her master's in physical therapy. Her athletic ambitions were more or less numbed into submission by peer pressure -- or lack of same -- and societal indifference. She never did find her way back to the street, until her own children led her into the park. After his chat with Lisa, Steve Cook went to Ashley Hammond, owner and operator of the camp and other youth programs in and around Montclair. Hammond, a British expatriate, imported much of his staff from England, hiring young coaches, men and women, on short-term contracts. Ashley was the center of the Montclair soccer universe, arguably the most influential sportsperson in town. He had settled in the area about a decade earlier, having come from Essex County, England, to Essex County, New Jersey. He was in his early twenties back then, a highly skilled player whose own promising pro soccer career was short-circuited by injuries. Now his summer camps were practically a rite of passage for local five-year-olds. His company had taken over the operation of all the elite travel teams in several towns, including Montclair. When he became coach of Montclair Kimberley, a small, private academy, he created a regional power that was competitive with the much larger local public school. Ashley and his partner, Glen Pernia, were astute, aggressive entrepreneurs, but their success in American suburbia was rooted in the child-friendly environment they had created at their camps. Hundreds of kids, a fair number on scholarship, passed through every summer, and many more participated in their travel team programs in spring and fall. Ashley seemed to know everyone by name, and often by particular skills as well. He knew Lisa because her children, especially John, were camp regulars. But when Steve Cook broached the subject of a training session for moms, and Lisa followed up with her own request, Ashley was skeptical. He wondered if Lisa was an aberration, preaching for a congregation that did not exist. "Get me a list of names," he told her, "and we'll see if we can put something together." Lisa accepted the challenge -- though not immediately, because she knew that in August, with the humidity soaring, it was all the mothers could do some mornings to get their kids to kick a ball under the burning sun. Half the town was off to the shore, if not long gone from North Jersey. September would be a better time to make connections. Lisa's children attended three different schools, and they would all be playing soccer; dozens of mothers would be exactly where they always were, right alongside her on the sideline. "I decided to scout out a certain type, women who looked athletic," she said. "Sometimes you could just tell." She began with one woman whom she knew casually from school pickup and who was typically rushing off in workout clothes, presumably to the Y. Her name was Dana. One September day Lisa took a deep breath and approached her. "You work out all the time. Would you be interested in playing soccer?" Dana DiMuro didn't quite know what to say. Soccer? Her husband, Declan, had played growing up in Ireland; all she had ever done athletically, beyond workouts, was smack a few balls against school yard walls in the Bronx. Her knowledge of soccer was pretty much limited to Pelé and kinder kickers. "Sure," she blurted out, without giving it much thought. "Why not?" Lisa felt as if she was off the starting line, in business. Another woman she knew fairly well from the school, Clare Moore, said she was interested, too. On the one hand, Clare, thirty-six, did not fit the category of the "Un-Titled Woman": someone too old to have been affected by Title IX, or just not lucky enough to have stumbled into one sport or another. She grew up in Scotland, outside Edinburgh, playing field hockey and net ball, a variation of basketball. On the other hand, as she put it, "I haven't had any real exercise for years." She told Lisa, "I've never kicked a ball in my life, but if it'll get me in better shape, put me down." Lisa was encouraged, energized, and surprised at her ability to be so forward. She had never considered herself much of an organizer or leader. Her personality included a fairly obvious element of shyness; she often waited for others to make eye contact. She knew most of these women only in the context of picking up the kids, or assisting the teacher for a class party or trip. Sometimes they'd have a casual conversation, and sometimes not. Another mother from the nursery school had noticed that Lisa would sometimes brush past without a word or nod. Ellen Paretti knew Lisa was from Montclair, while Ellen lived in Bloomfield, a more dressed-down community on Montclair's eastern flank. Some adolescent and stereotypical notions about economic and social rank we never quite lose, and Ellen had no way of knowing that Lisa, more times than not, was rushing by to make sure she didn't wind up with a child waiting for her in tears at another end of town. One day Ellen looked up at the school bulletin board and saw a notice about women wanted for a beginners' soccer group. Anyone interested should contact Lisa Ciardi. Ellen's husband, Andy, had played the game. She used to watch him from the sideline early in their relationship. Now the older of her two boys had started to play. Not once in her life had Ellen played anything resembling a team sport. She occasionally jogged -- which she thought of as work, not play -- and generally considered herself, athletically speaking, "a klutz." Ellen had also been looking for something new to try, though she hadn't really given much thought to what that something might be. When she asked Lisa about soccer, something about Lisa's absolute seriousness caught her attention. Lisa might as well have been talking about a mothers' playgroup, or book club, something no one would have thought the least bit odd. Lisa's earnestness stirred memories for Ellen, of standing around as a kid, watching neighborhood boys in nearby Bergen County play baseball and basketball. Of thinking that someday, somehow, she might like to join in. "I've always, you know, wanted to be an athlete," she said. Lisa added Ellen Paretti's name to her list. At the Bradford School, where Olivia was starting first grade, Lisa marched to the rear of the building, to find the parents waiting for their children. There she approached more mothers, collected more names: Ginger Steuart, who had just moved to town from Brooklyn and whose husband, Henry, was an absolute soccer fanatic. Beth Albert, the PTA president, whose son had been in John's first-grade class, said she might give it a try. So did Beth Fuqua, whose kindergartner, Jeffrey, was already declaring soccer the greatest sport ever invented. She fancied the thought of mother and son sharing something athletic. By the end of September, Lisa had twenty-four names. She returned to Ashley Hammond, who looked at the list and noticed something else: The women had written down not only their names but specific times they would be available. Ashley looked at that and thought, Maybe we're on to something. Flyers offering a four-week, fifty-dollar course were printed, with the imprimatur of Ashley's Soccer Camp. "I was surprised, pleasantly surprised, when he came on board," Lisa said. "I figured more women would try it, because his camps had so much credibility in the community." Steve Cook agreed to train the women, and Ashley assigned David Law, another of his British imports, to assist. Lisa went on a one-woman mission to post the flyers at schools, distribute them at games, supermarkets, Starbucks, wherever she thought mothers might see them. Having made the list, Lisa was now checking it twice. She called Ellen Paretti, who wanted to play but did not have a sitter. Lisa said she would see what she could do. She called back in a few days. "I talked to everyone I know, and I finally found someone for you," she said. Nine dollars an hour was definitely a Montclair price. Ellen eventually tracked down her own sitter, but what stayed with her was her amazement at Lisa's sheer resolve. "I remember thinking, She must really want this to happen to make such an effort for someone else," Ellen said. morning of October 21. They didn't really know what they were getting themselves into. They were all mothers, most of them active in some kind of recreation. Soccer? Nobody on the list had ever played beyond a few kicks with the kids. They all had come, however, with the same motivational mantra as Dana DiMuro: Why not? It looked like fun. What was stopping them from giving it a try? That Wednesday morning they assembled for the first time, some in cleats, a few in sneakers. They came carrying coffee cups, giggling at each other as they made their way from the parking lot across the field. Ginger Steuart pushed three-year-old Gwendolyn in her stroller. When she reached the familiar sight of an area marked by orange cones, she placed a white blanket over her daughter, handed her a small box of crackers, and gave her a kiss. "Mommy will be right over there," she said. She pointed to where Steve Cook and David Law were calling for the "ladies" to stretch before a ball would be dropped at their feet. It was a beautiful autumn morning, cloudless and crisp. Lisa wasn't nervous anymore. She didn't feel silly. Much to the contrary, she felt strong, independent, proud. "This is my turn," she would recall thinking as she loosened up, not far from where Steve Cook only weeks before had noticed her natural athleticism and told her, "That's pretty good." This was, in fact, better than good. What Lisa would most remember from that first day was how great it felt to actually be on the playing field, across the sideline, and the invisible divide.